Everyone sets targets. Some people set fitness and savings goals. Students want better grades. CEOs aim for certain profit margins. Principals want higher graduation rates. Across every domain, people use performance measures and targets to shape choices. Performance measures provide people quantifiable information about something they care about achieving or maintaining. Targets help them know where to aim. Governments are no different than individuals. Many governments have been told they need S.M.A.R.T. goal statements and strong targets. However, not every jurisdiction, department, and program understands how to set achievable targets that will inspire people to improve, and setting the right target for each measure can be difficult. 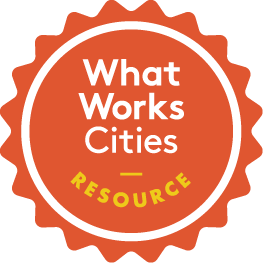 The Center for Government Excellence at Johns Hopkins University (GovEx), a partner in Bloomberg Philanthropies’ What Works Cities initiative, created this practical guide to help governments advance performance management practices by setting stronger targets. The guide includes: tips for dealing with five common categories of target-setting scenarios; an in-depth example for practicing accuracy in target setting; links to benchmarking and proxy measure resources; and a robust glossary of terms.